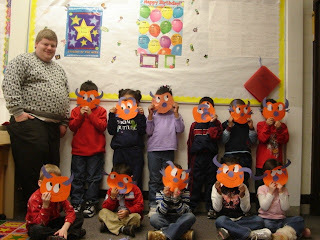 This is a pic of my class. Well the one from last year. The school year is over for the summer. I mss all of them. They are all great kids and I will miss them. CUTE kids! My Eme would so love to be in preschool. Oh well. She's starting K-garten in the fall.